Influenza, more commonly known as the flu, is an illness that affects the respiratory system and is easily spread from person to person. According to 2015-2016 statistics from the Centers for Disease Control and Prevention, the illness was contracted by 25 million people, hospitalized 310,000 and killed 12,000 within the United States, however some deaths may have also been attributed to pneumonia. It is characterized by fever, body aches, severe coughing, runny nose, sore throat, fatigue and even vomiting and diarrhea in small children. However, the spread of this potentially debilitating ailment can be mitigated when people choose to get vaccinated for it. The CDC reported that for the 2015-2016 flu season, the vaccine prevented 5 million illnesses, more than 2 million doctor visits and 71,000 hospitalizations. The vaccine has been proven to successfully prevent the illness from wreaking more havoc than it already does. The more people who receive vaccinations, the less the virus can spread. Educating citizens on what the vaccine is and how it works is an important step in increasing the number of people who get vaccinated each year. 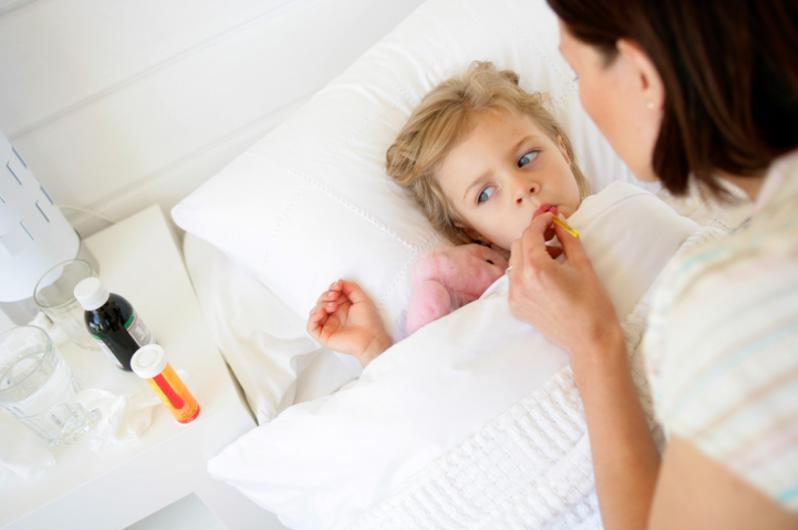 Children under 5 years old are particularly susceptible to contracting and spreading the flu virus. "Certain demographics of the population at higher risk of contracting the virus than others." Flu season in the U.S., the time of year when the illness is at its most prevalent, is known to begin around October but can end as late as May. The season is usually at its peak between December and February, however during the 2015-2016 period, the season peaked in mid-March and was one the latest summits on record. Generally everyone other than babies younger than six months old is encouraged to get the influenza vaccine. According to the World Health Organization, there are certain demographics of the population at higher risk of contracting the virus than others, and they should get preventative treatment upwards of every six months. Seniors over 65 years old. People suffering from chronic medical conditions such as asthma, heart and lung disease, diabetes and HIV/AIDS. Health care workers and other people with increased risk of illness exposure. The flu can spread quickly and is transmitted interpersonally when a healthy person encounters air or an object contaminated with the influenza virus. Droplets of moisture made when an infected person coughs, sneezes or talks contain the virus which can then travel up to 6 feet and enter a healthy person's nose or mouth and infect them, according to the CDC. Droplets can also be found in the hands of the sick person or on objects they recently touched. Adults with the illness can spread it to others one day prior to the appearance of the any symptoms. They can also spread it up to seven days after their symptoms disappear and this period could be even longer in children. Most people who contract influenza are relieved of all major signs of illness after one week. However, cases can become severe in high-risk groups and could require hospitalization or even cause death. Up until recently, certain precautions needed to be taken when vaccinations were requested by individuals with egg allergies. The influenza vaccine is most often created in egg embryos and some of the allergenic host material usually remains in the vaccine after it is successfully created. According to Newsweek, a report was recently published in the Annals of Allergy, Asthma & Immunology which said people with egg allergies can now safely get vaccinated. Previously, people allergic to eggs who wanted the vaccine were directed to seek the help of medical specialists well-trained in allergy detection who would administer the treatment then monitor the patient for 30 minutes to detect any adverse reaction. Based on data collected from scientists in over two dozen studies, researchers and physicians have stated it is alright for even severe suffers of egg allergies to get vaccinated. This condition affects less than 500,000 adults in the U.S., but even one additional person who gets the vaccine helps fight the spread of the troublesome illness. The vaccine can be administered via a shot into the skin or muscle or through a nasal spray. The vaccine contains either dead or weakened versions of the virus, and when it enters the body, it causes antibodies that fortify the immune system in preparation for influenza at full-strength. The CDC noted it takes about two weeks for the vaccine to take effect and people are recommended to get the vaccination just before flu season starts. Vaccines can be administered in a number of places including clinics, schools, health departments, pharmacies, doctor's offices and college health centers. Some employers even offer vaccinations to their staff. The HealthMap Vaccine Finder is a tool the public can use to determine locations nearest to them that offer vaccinations. Many places offering vaccines, especially medical facilities, offer shots year-round. People need vaccinations increasingly as they age because the body's immune response to the vaccine weakens with time. Additionally, the virus is constantly changing and the most current vaccine available is tailored to fight whatever specific strain of influenza is presently causing illnesses. Due to the weakened state of the virus when it enters the body, the vaccine itself cannot cause a legitimate case of the sickness. However, there are some minor side effects that may occur such as aches, a low grade fever and redness, soreness and swelling at the site of a vaccination's injection. The CDC recently reported that widespread influenza activity has struck the following states in recent weeks: Arkansas, California, Connecticut, Louisiana, Massachusetts, Mississippi, Missouri, New York, Ohio, Oklahoma, Virginia and Wisconsin. Influenza is unpredictable, dangerous and can quickly and easily disrupt the lives of large segments of the population. Without the use of vaccines, the sickness could cause much more damage in the country.